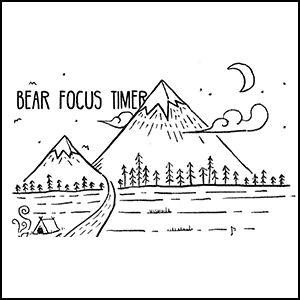 Bear Focus Timer is a concentration timer app. Despite its relatively short history of existing, the internet has been around long enough that most of us understand the importance of taking a break from it. 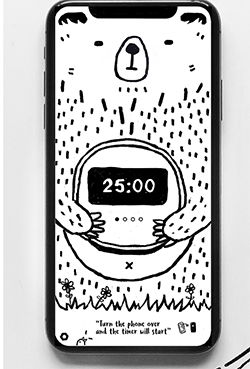 Bear Focus Timer is an app that uses technology in order to accomplish just that: putting your phone down and concentrating on whatever the task is at hand. 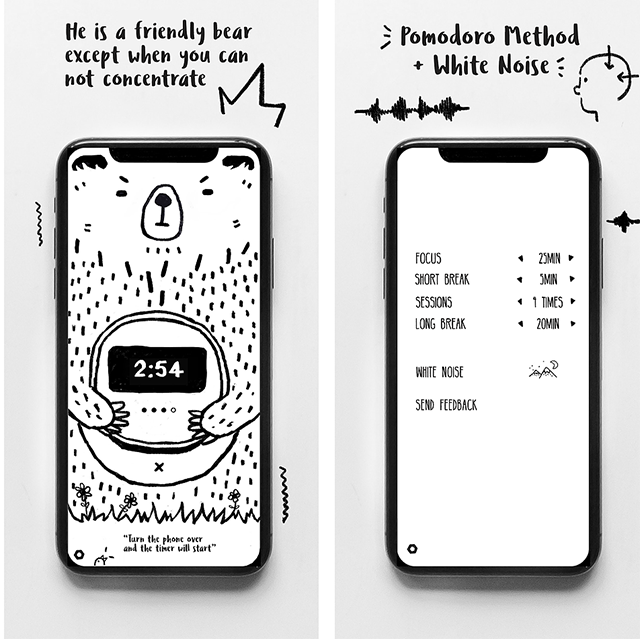 Although there are many such apps on the market, Bear Focus Timer takes a fun, unique spin on the concept. 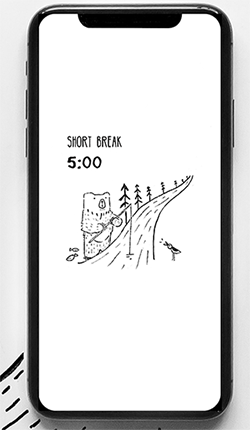 In a cartoonish style, the app displays a bear named “Tom.” As long as you don’t try to use your phone within a pre-set amount of time, Tom will help you. If you lose, he roars in disappointment. Bear Focus Timer operates on the “Pomodoro Technique” of productivity. This method breaks down work into 25-minute incremental chunks, broken up by consistent short breaks and one longer break after several “pomodoros” have been completed. Bear Focus Timer also uses white noise as a soothing background technique to help you get in the zone. Although there are several similar apps out there, this one has one of the best designs and is the most fun to use. It’s worthwhile for people to put their phones down every once in a while, even if they don’t actually end up doing anything productive. If that sounds like something that would help you but you need some motivation, Bear Focus Timer is the best place to start.